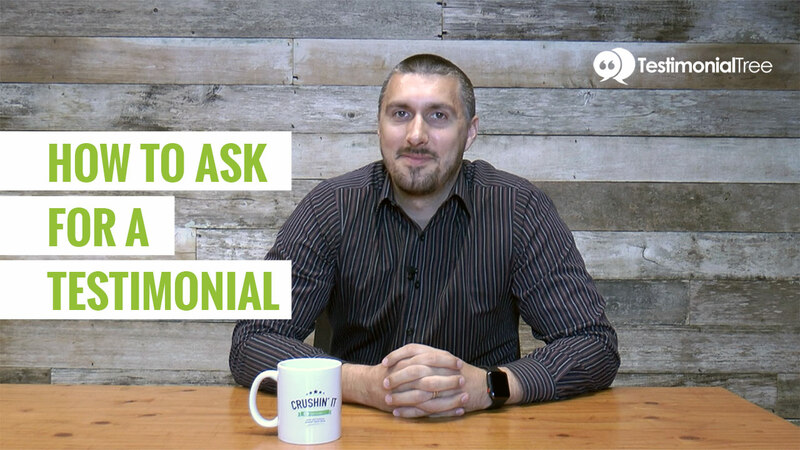 Many people are not comfortable asking a customer for feedback and the ones that are often don’t know quite how to go about it to get results. Whether you are a dentist, an attorney, or a mortgage broker – if you have foot traffic to your business make sure you have a sign at the front desk (scroll down for a free download) that tells your customers or patients that they will receive a feedback request from you. Get them to nod or verbally agree to do it – this is a psychologically proven way to get a person to commit and they will feel more inclined to do it because they said so. You could just ask them to write down feedback on paper or an iPad at your office but typically everyone is on-the-go so it’s better to follow up electronically and give the customer an option to do it when it’s convenient for them. Then, send them a text or email within a day so the experience is fresh in their mind. This is important! Saying “Did you enjoy working with Realtor Smith?” will get you different results than asking “How was your home buying experience with me?” Try to phrase the question in a way that will lead its answer to be something you’d like to hear. Ask customers to be specific and of course tell them how much you appreciate them taking the time to leave you a positive, 5-star testimonial. See what I did there? You need to tell them you’d like a positive, 5-star testimonial! Lastly, we all know emails can be overlooked and forgotten about so make sure you have automatic reminder emails set up. Typically 2 reminder emails 3 to 5 days apart are enough. 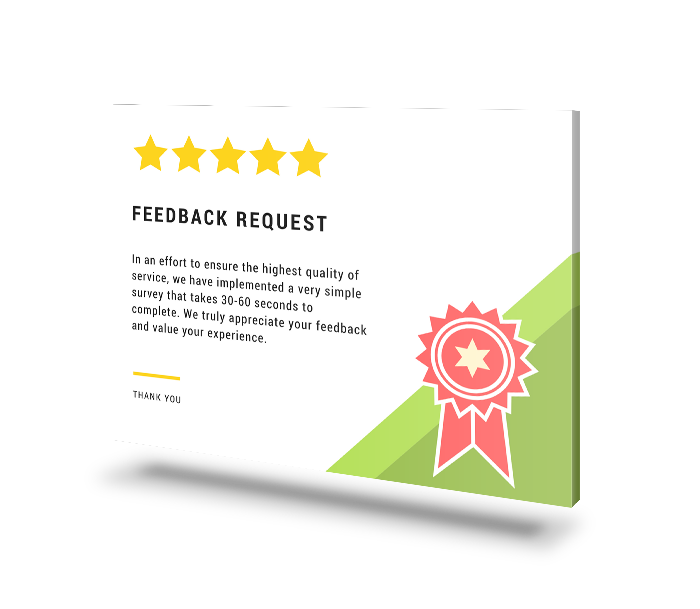 You don’t want to fill up their inbox but you do want to be persistent in a friendly way to get your well-deserved testimonial. Want To Get More Testimonials? Here is a print-friendly, half page design that you can post at your front desk to let customers know they’ll receive a feedback request from you.